Virgin America, the unlikely brainchild of eccentric British entrepreneur Sir Richard Branson, began operations in the United States in 2007. With its emphasis on passenger comfort and entertainment, It was a new, exciting endeavor that most Americans had never seen before. Until it started operations, the closest thing we had to Virgin was JetBlue Airways and the short-lived Song Airlines. The time was peculiar for a new airline to start operations because that part of the decade was ripe with airlines declaring bankruptcy left and right. 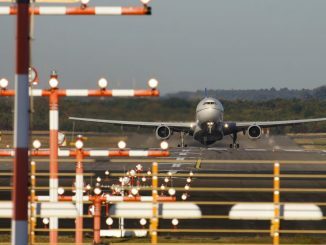 From 3 years before to 3 years after the airline started flying in 2007, 8 major airlines including Delta Air Lines, Northwest Airlines, US Airways, ATA Airlines and Frontier Airlines had declared bankruptcy. The post-9/11 slump and rising fuel costs taking their toll on the fragile industry. Despite the downtrodden state of the industry, Virgin American continued on, launching their first flights between New York’s JFK, Los Angeles and San Francisco on an Airbus A320 aircraft named “Air Colbert.” Transcontinental flights between New York and California were to be the backbone of the airline, as those are some of the most popular routes in the country. 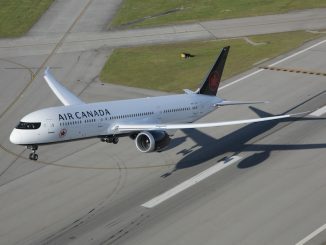 The airline would grow largely from its main hub in San Francisco to cities like Chicago, Philadelphia and Denver, even expanding to Mexico and briefly to Toronto, Canada. However, the airline never wavered in its commitment to transcontinental flights and its flights on those routes became a staple for airports such as JFK, LAX and SFO, rivaling fierce competitors as JetBlue, Delta, American and United. It was largely considered a “hip” airline, with Sir Richard himself helping to promote that image, whereas JetBlue was the family fun airline and Delta, American and United were the business airlines. Featuring revolutionary in-flight amenities, it was a highly sought-after airline to fly on, yet, was so limited in terms of route options from the East Coast that many Easterners didn’t get to fly on it often. 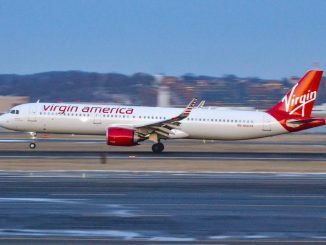 Steadily expanding its brand and destinations throughout the United States, Virgin was poised to be a mainstay in the U.S. market. 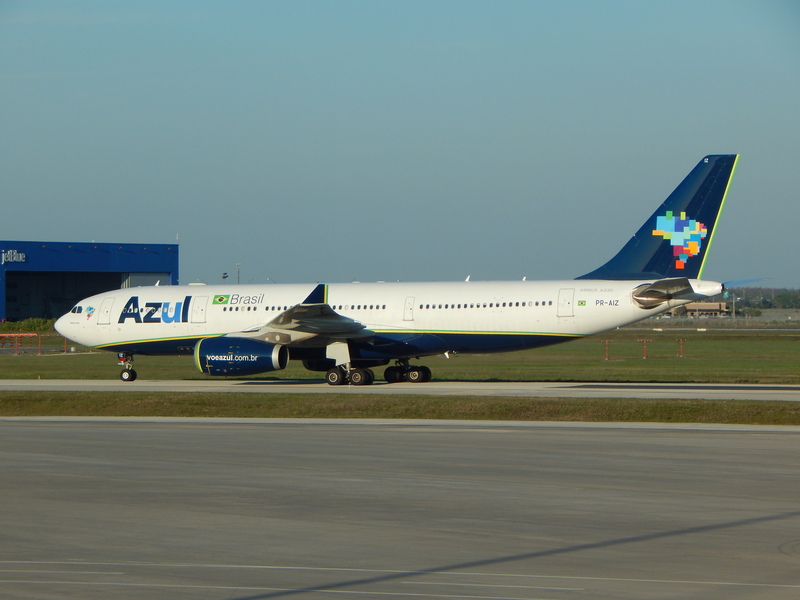 However, its success caught the eye of other competitors, namely Alaska Airlines and JetBlue Airways. Many thought that JetBlue would be a good fit for a merger, as both airlines operate an Airbus fleet with comparable entertainment systems and strong reputations as friendly airlines. 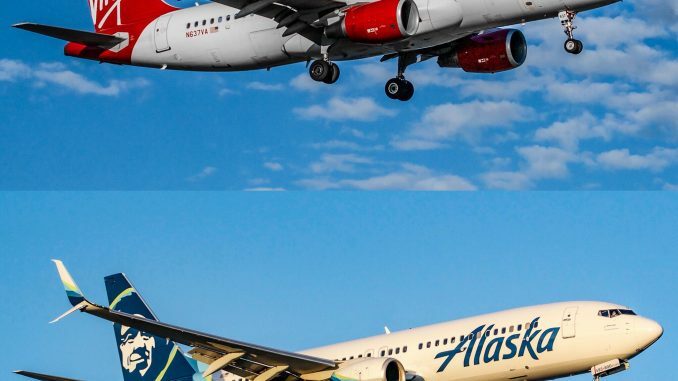 In the end though, Alaska Airlines, polar opposite in fleet type with Alaska proudly promoting its all-Boeing status but equal in its reputation as a friendly airline, successfully purchased the airline for $2.6 billion, though including aircraft leases and debt, was valued closer to $4 billion. Though incompatible in fleet type, the two did maintain a strong West Coast presence that made the merger viable for Alaska. 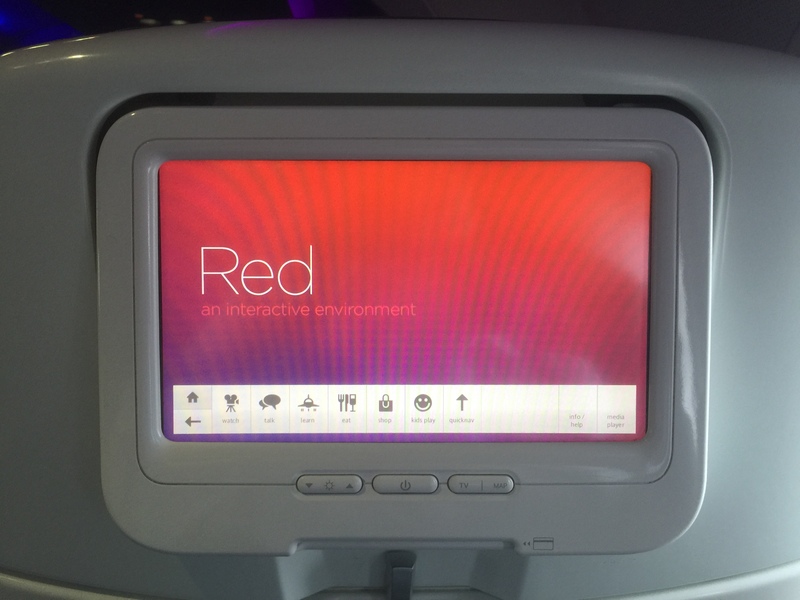 The final flight with the “Redwood” callsign under Virgin America’s Aircraft Operators Certificate (AOC) was on January 10, 2018. Around this time, Alaska, coming around to the idea that it would maintain Virgin’s fleet of Airbus aircraft, started the repainting process for the fleet, unveiling the first Airbus aircraft in Alaska colors. 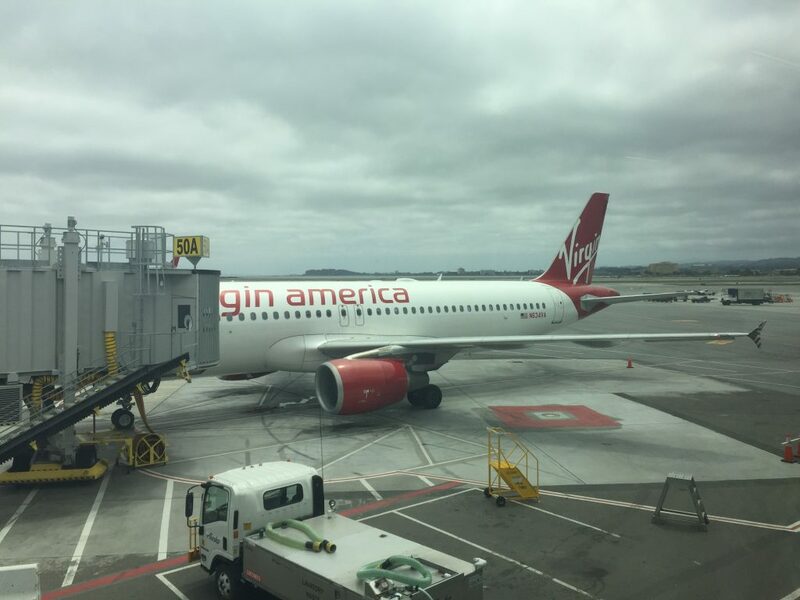 A few months later, on April 25, the final Virgin America revenue flight departed from San Francisco International Airport for Los Angeles International Airport, a quick jaunt just down the coast, as VX1948. 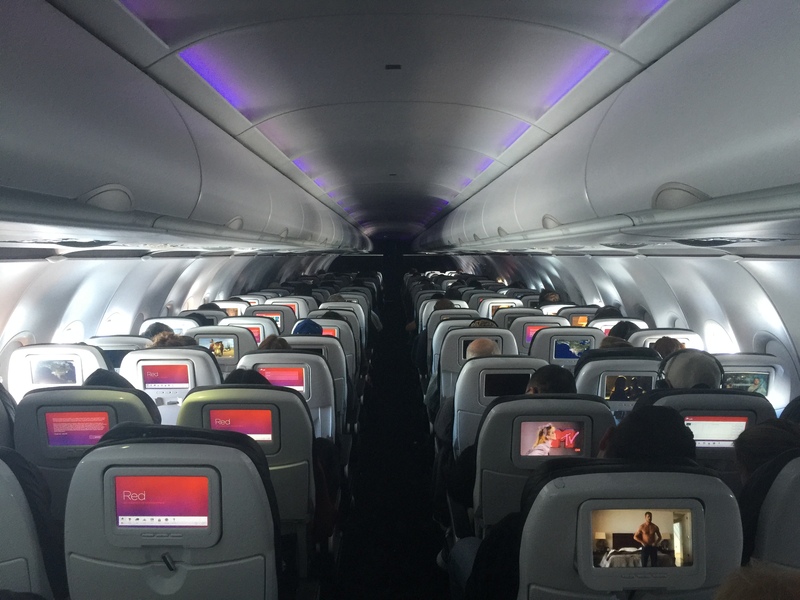 However, what was seemingly the end of an era wasn’t and the Virgin America brand currently finds itself in limbo. 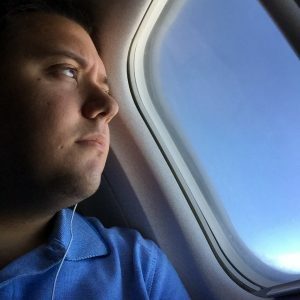 During its operations as Virgin America, I was fortunate enough to fly on the airline all but twice. My first flight was from New York to Las Vegas in 2008, just over a year after the airline’s first flight. I was young then, but I knew the importance of the new airline and it was largely my influence that led us to take the flight. My father and I flew the route and were nothing short of amazed at the airline. It would be just nearly 7 years before I would fly the airline again between the airline’s newest ventures from New York’s LaGuardia to Dallas Love Field and onwards to Austin Bergstrom International Airport. 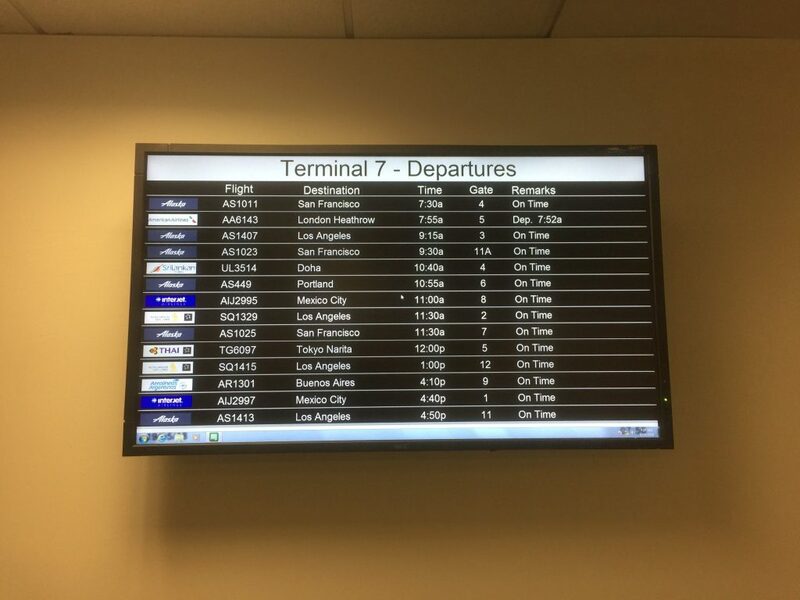 The reason for the delay is because the airline only operated flights to a handful of West Coast destinations with few connecting operations and no interline or codeshare agreements with U.S. domestic airlines to cities that I frequented back then. I never thought that it would be my last flight on the airline. It was to my surprise when I saw that because the flights were now operated by Alaska, which has a partnership with American, that I could book my next flight to Phoenix with a mixed American and Alaska itinerary. 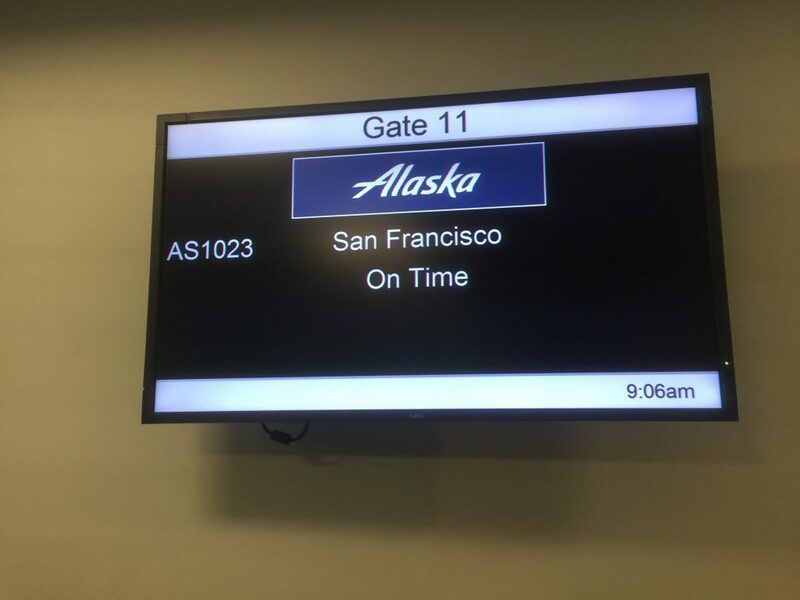 The best part was that the Alaska leg was on an ex-Virgin America route and would be operated with an ex-Virgin America plane. Using AAdvantage miles, I was excited to book the flight, considering the changes following the merger between the two airlines. 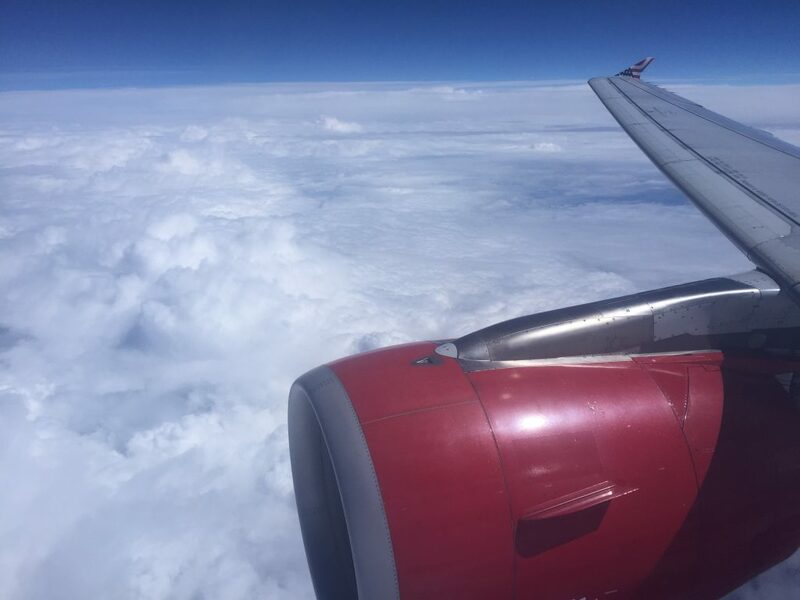 The flight was also on Virgin’s flagship route, New York to San Francisco, on its flagship aircraft, an Airbus A320. My itinerary for the day was simple, JFK-SFO-PHX on Alaska and American. Following the merger, Virgin and Alaska consolidated their JFK operations to Terminal 7. Previously, Virgin had used Terminal 4, same as its British sister airline Virgin Atlantic, and Alaska had used Terminal 8, used primarily by American Airlines. 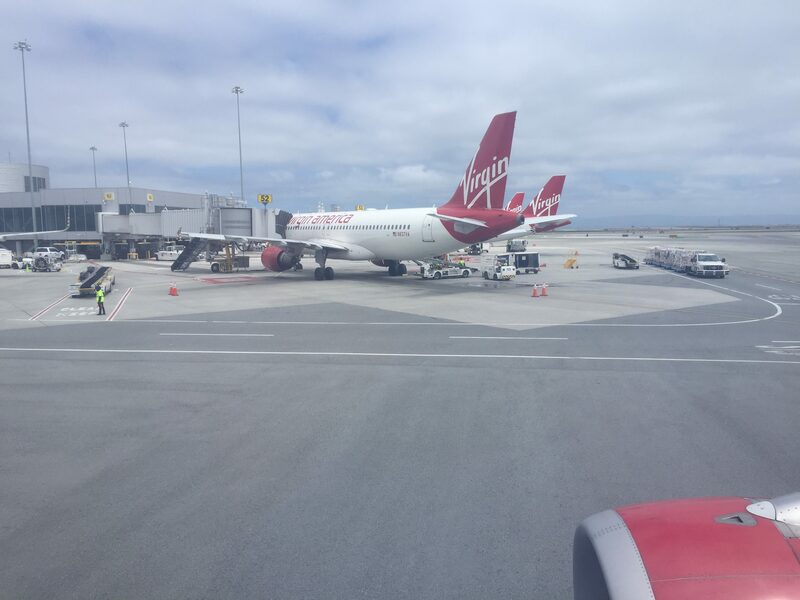 Arriving at the terminal, all I could see were Virgin America A320s still in their old paint. Alaska expects the repainting process to be completed within two years and until then, Virgin’s red and white livery will still be flying. Alaska currently serves Seattle and Portland with its Boeing 737-900ER aircraft. 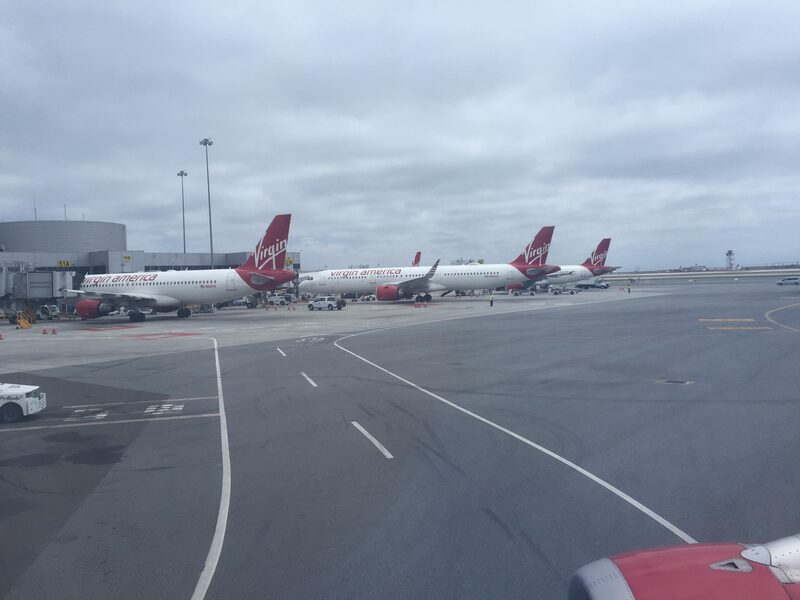 However, former Virgin routes overtake legacy Alaska routes at JFK. At check-in, all semblance of Virgin America was removed. There was no leftover Virgin America signage, placards or any memorabilia suggesting that Virgin America even existed. Even customer service staff dawned their new Alaska uniforms. Besides the planes partially visible from the roadway, Virgin America had disappeared completely from the terminal. Ascending the escalators to the main floor of the terminal post-security, I saw the signs for the Alaska Airlines Lounge on the top floor of the terminal. 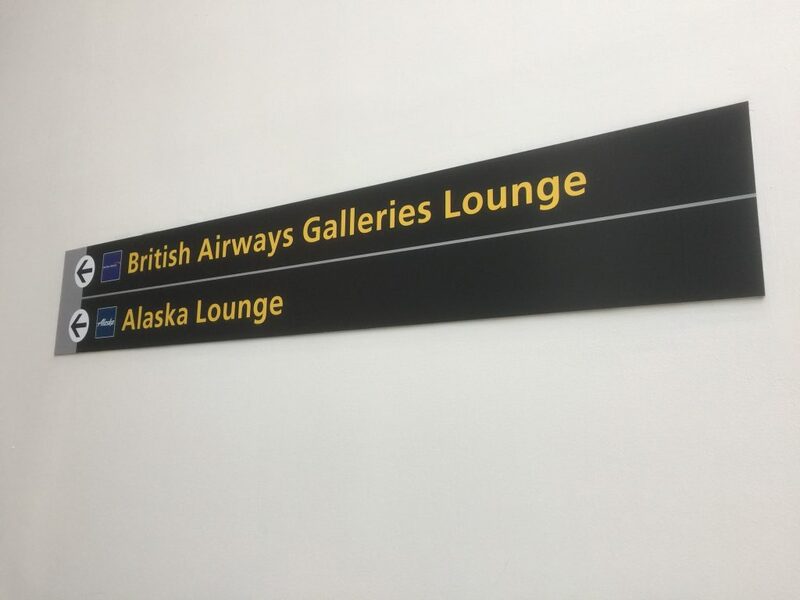 The lounge was a significant addition for the airline since it is the first lounge for Alaska on the East Coast and represents its commitment to its new East Coast destination, in addition to its latest route additions. 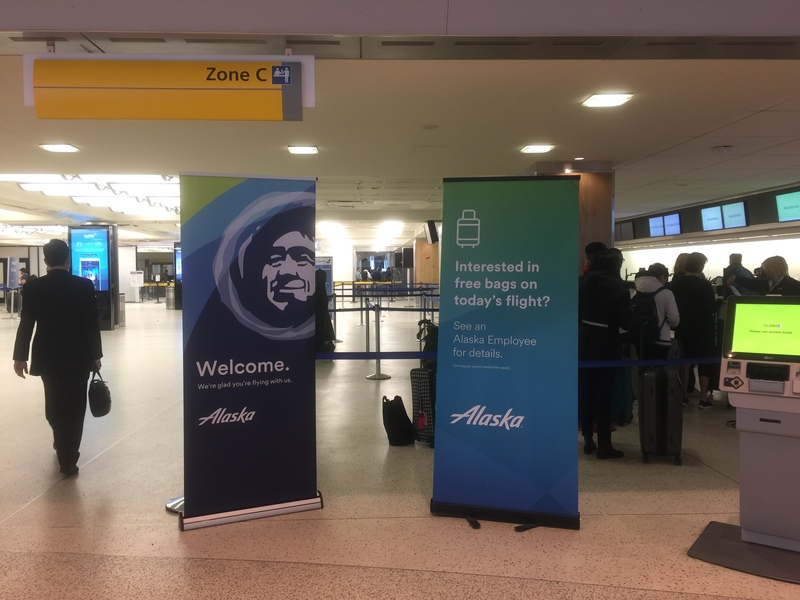 Just a few years ago, the airline solely served Newark and now, JFK is becoming Alaska’s favorite in the metropolitan area. I first started using the terminal to fly to Phoenix when America West served the route prior to the merger with US Airways. After years of flying US Airways to Phoenix from the terminal, the airline left following its merger with American to Terminal 8 before being absorbed by the American brand. Then, I would fly United’s p.s. service occasionally or its regional service to Washington operated by an ExpressJet CRJ 200 until the airline picked up and left JFK altogether. 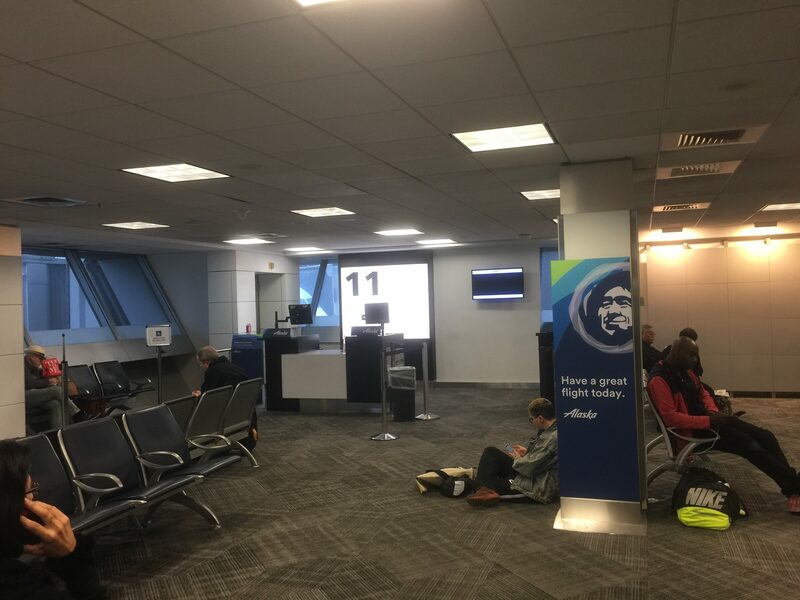 Since Alaska moved in, the terminal has been devoid of domestic service and I had seldom reason to use the terminal. Arriving back at the terminal for a domestic flight on an old friend was a good welcome back for me. The terminal, owned by British Airways, is largely a communal terminal with airlines sharing gates. 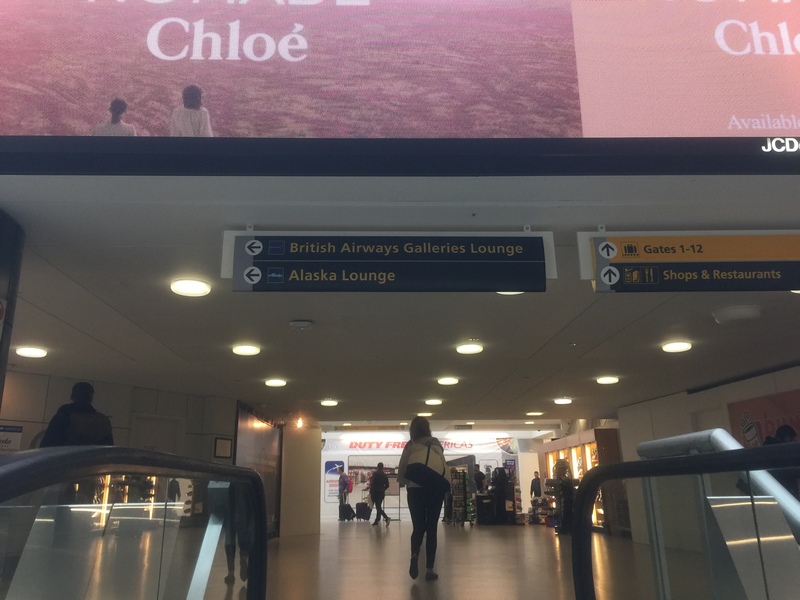 Since most of Alaska’s flights depart early in the day, its planes are largely spread out and the terminal is quiet until the large international rush in the evening dominated by near-hourly service to London. My flight departed from the small enclave on two gates, previously used by United’s Boeing 757s and CRJ-200. Getting there required taking an escalator down one level on a passageway that leads to baggage claim, removed from the large communal areas of the terminal. 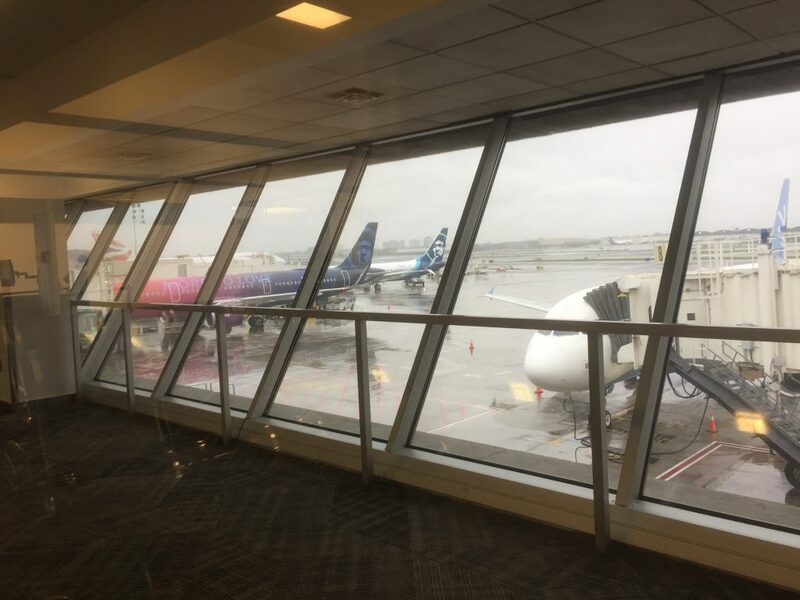 The terminal is small, comparatively to other JFK terminals, but is in the process of a renovation and includes a food court, duty-free, shops and a few restaurants. The space used to be largely empty and underused but has found rejuvenation with Alaska’s entrance and Hudson News opening up a small shop between the two gates. 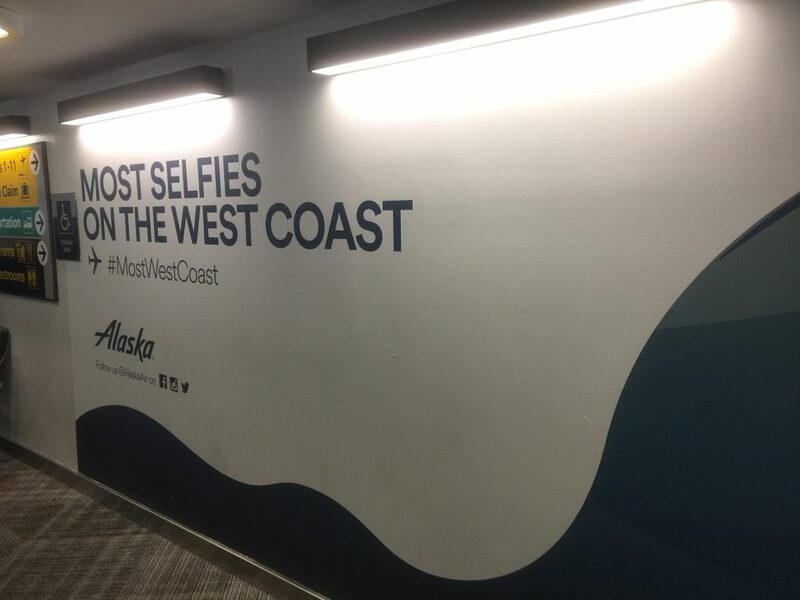 Although seating is tight, the gate area has been completely taken over by Alaska with signage and even wall murals promoting the airlines’ new service between the East and West Coasts. After boarding back to front in typical Alaska procedure, it was as if we were transported from Alaska Airlines to Virgin America in an instant. Nothing on board the plane had changed, and it was an instant flashback to my prior experiences on the airline. All the nostalgic memories I had came flying back and I couldn’t wait to get in the air to fully enjoy the flights. The flight attendants were still in their standard red uniforms and the flight crew was in their grey uniforms. We were one male away from an all-female crew, as the flight attendants and captain were all females. Walking through the first class cabin, I was shocked to see the spaciousness of the cabin and the fact that there were only 8 seats in total. The airline was the first to have first class seats with a massage function, as well. I was in seat 4F, which was the second row of the main cabin. 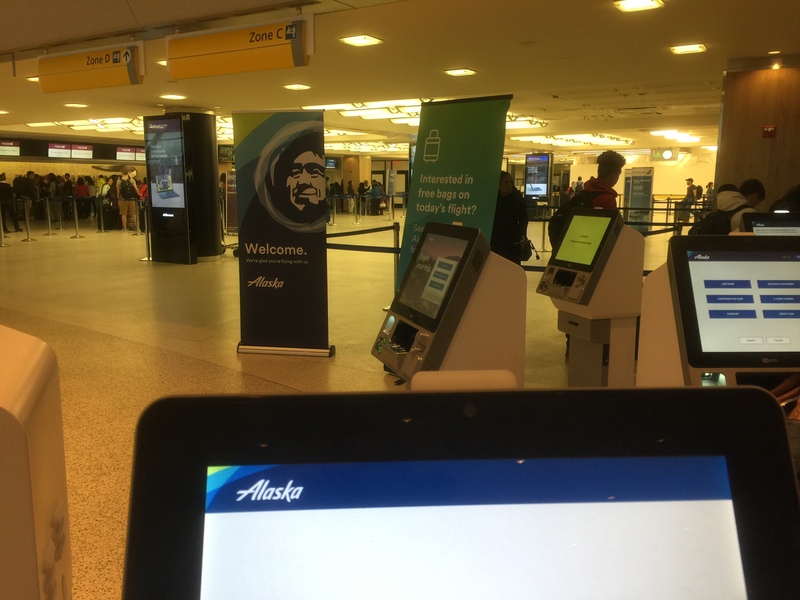 Alaska doesn’t charge for close seats, as other airlines do, allowing me to get the closer seat at check-in. The black and white leather seats did not disappoint, with ample legroom, two mesh pouches in addition to the seat back pocket, the famous “Red” entertainment system and, of course, the tethered remote in the armrests. Looking out the window, I always loved that the airline painted the American flag on its wingtips. 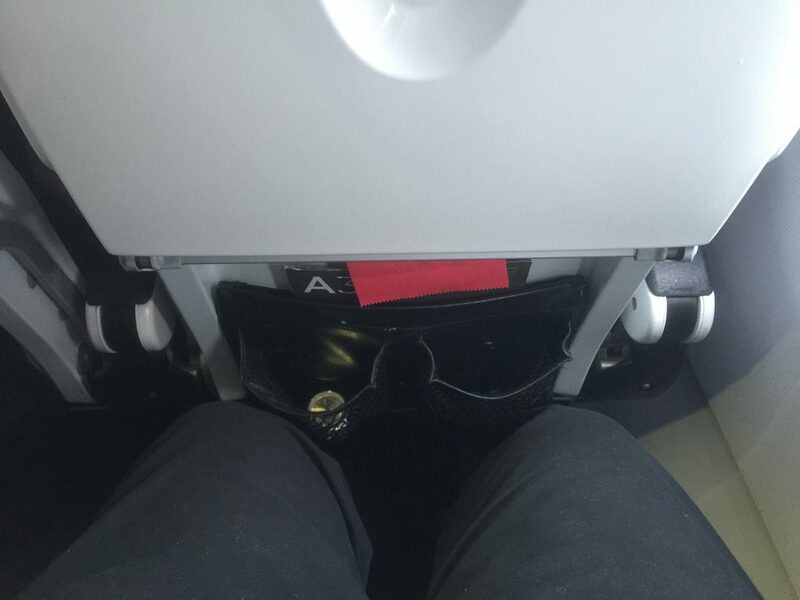 I immediately noticed a few things that I hadn’t on my previous flights, most notably that things are larger on the Virgin planes. First, the back of the seats was a white plastic rounded shell with a large and heavy tray table. While it has no difference on the actual table, it felt a lot sturdier. Second, the armrests were larger due to the inclusion of the remote. Last, television screens were large and truly ahead of their time when first debuted with the features it included. I played around with the features of the entertainment system, most of which were not available the first time I flew the airline in 2008. 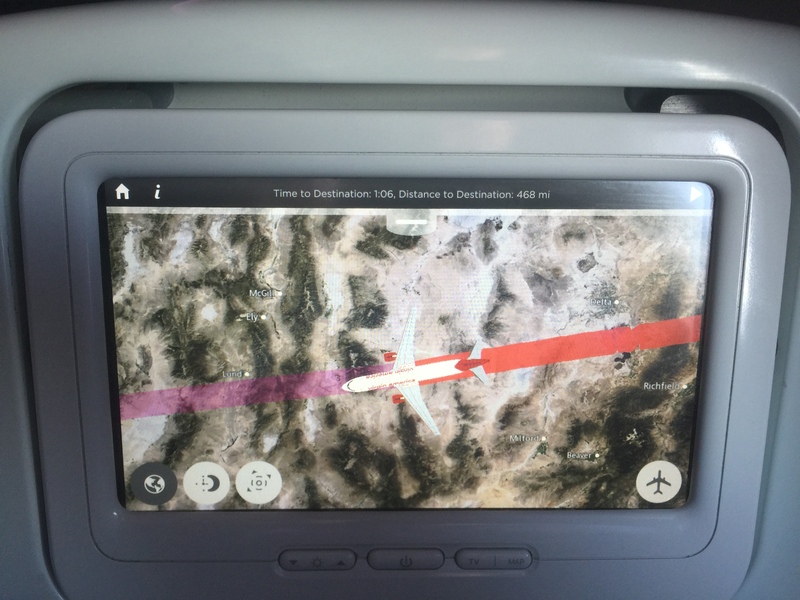 Seat-to-seat chat, games, on-demand movies and TV shows and a 3D moving map were all Virgin America firsts. The movie selection had about a handful of new releases but were mostly older movies from last year. Fiddling with all the features and taking a walk around the cabin, I did notice that the plane seemed tired. The black leather started to show its age, the remotes had nicks and scratches on them and the white seats showed their age with some discoloration, scratches and dirt. Even the bathroom mirror had something scratched into it. 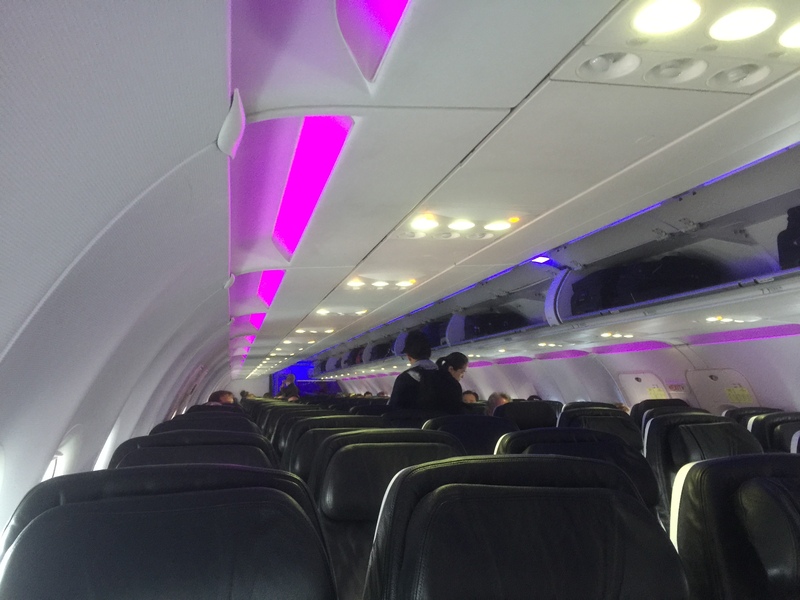 A heavy refresh would’ve done the plane some good, but I knew it would stay in that state until Alaska Airlines retrofits it with its new cabins. I was surprised to see WiFi available onboard through Gogo Inflight considering Alaska’s website said only one of their aircraft had been outfitted with WiFi. Gogo is my preferred WiFi provider because it lets you get in-flight WiFi for free for T-Mobile subscribers for the duration of the flight. An oddity about the flight was it took the airline 2 hours to begin the drink service. I had just fallen asleep and woke up to see drink carts but was too tired to stay awake for it. I’d never waited that long for a drink service and thought it was strange since it was a smooth flight throughout. 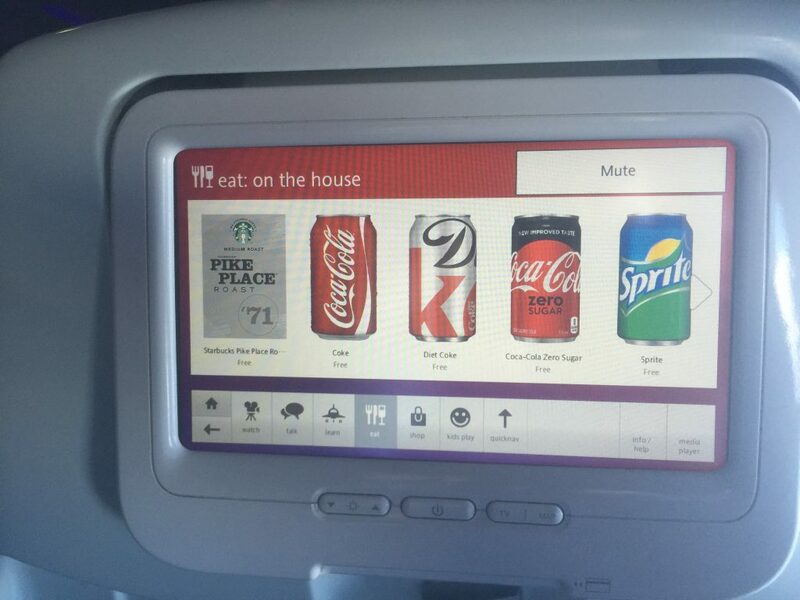 Once I woke up, I used my favorite feature on Virgin America, ordering food and drink through the entertainment system, a godsend for window seat passengers. Even that took an extended period of time. I had remarked to other people about the slow service and they had also noticed the change pre and post-merger. Luckily, this was the only downside I noticed. Taking a walk around the plane, it was nearly full, unsurprisingly for one of their most popular routes. Virgin, despite flying under its new owner, still attracts a largely younger crowd. Before I knew it, we were descending into San Francisco, where it all started for the airline. Landing in San Francisco, I expected to see a sea of Alaska Airlines planes, as the airline just began expanding its operations from the airport. However, I didn’t see a single Alaska Airlines plane, it was all Virgin red and white. Deplaning the Virgin A320 was a bittersweet moment. 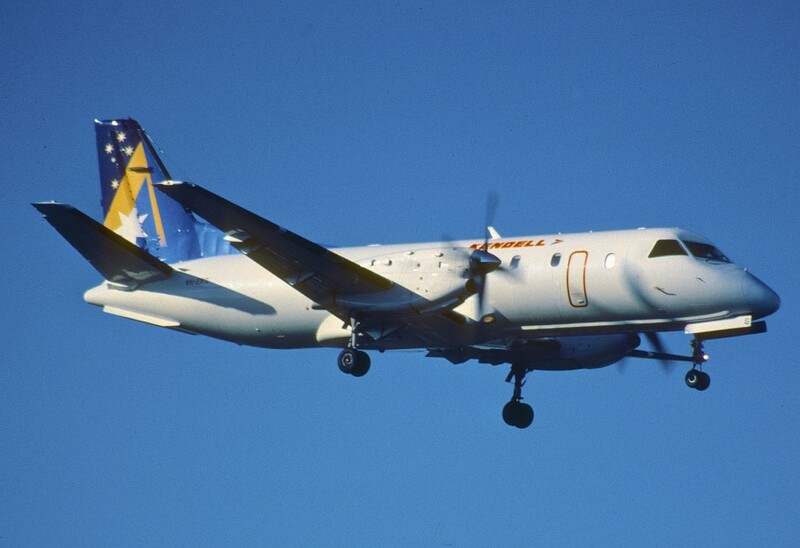 I had grown up with this airline and had been flying it since its inception, following it over the years and talking it up to anybody that cared to listen. I never thought there would be a time when I would’ve had to say goodbye, but it came all too quickly as we started to collect our bags and walk off the plane one by one. However, all good things must come to an end. Despite 6 hours of flying time, it all came down to one final moment as I stepped off the plane. Luckily, as I walked through the terminal to my connecting flight to Phoenix, I was able to get one last look at the plane that flew me across the country and served as my last flight with Virgin to say one last goodbye. The terminal in San Francisco was completely devoid of any Virgin America markings, just like in New York. All the planes that I saw on my arrival, including the one I flew in on, will be painted in Alaska colors and their Virgin cabins will be removed slowly but surely over the next few years, forever erasing the Virgin America brand from the skies over the United States. But it will never leave our memories as perhaps the greatest airline for passenger experience in the 21st century. To the airline that defied all the odds by launching at a time when other airlines were struggling, succeeded as a brand-new airline when others were collapsing or merging, became a formidable competitor and institution on the country’s busy transcontinental routes, set trends that were way beyond its time, incorporated technology that most airlines haven’t even come close to and, most importantly, inspired an 11-year old AvGeek and showed him just how amazing an airline can be, thank you. Correction: It was stated that Alaska’s website showed that only one of its aircraft was equipped with WiFi. This was misread by the author. All Alaska Boeing and Airbus aircraft are currently equipped with WiFi, but the airline is in the process of upgrading its fleet to high-speed satellite-based 2Ku wifi, which is what the website actually stated.